So I finally get to go to the conference I paid so much to attend. I think the price turned off a lot of people. Most of the audience seemed to be members of the media or guests. I got there so early they even gave me a guest tag though I was a paid attendee. I ended up taking 13 pages of notes in Word. Emlyn advised me to edit. I also have just drank 7 free beers at the Tsinghua MBA exchange student going away party. I guess I’ll just choose the best points I noted down from the better speakers, ie those that were in English and call it a blog posting. I have so much to do and so little time and energy. Motorola’s vision is to be the entertainment and communication provider of choice. They will not be a content provider. The device formally known as the mobile phone. 700 million handsets sold worldwide this year. 4 billion people who have never made a telephone call in the world. 80% of students who graduate now and rent an apartment don’t get a landline; they just use their mobile device. Music is generally a young person’s game. They are highly motivated by music. People previously thought of photographs, movies, sound recordings, and text were all different, but when everything became bits they could co-mingle. Will books exist? No. The book is finished, what there will be is words. Ink on dead trees in uneconomical and unenvironmental. Dead trees and dead cows are on their way out. For a child to grow up today and not be taught English is criminal. Started work in developing nations, using an old Apple by the looks of it. 1982 so the IBM PCs did not exist. Steve Jobs gave him a few hundred computers. Give a kid an Apple computer in 1982 in remote Africa and they attack that keyboard like a piano and play it like middle income kids from upstate New York. Went to Costa Rica in 1988. President promised to put computers in primary schools. Today 50% of exports from Costa Rica are integrate circuits. Costa Rica is a boutique country of 3.5 million people. This works, not a theory, let the kids do most of the work. Not trying to embody the teacher in a box, but have the student teach the box. Kids in Cambodia test schools started to take the laptops home and they had WiFi in the village and the parents loved this because it was the brightest light source in the house. The first English word of every child is “Google”. That is where they spend all their time. 50% of the cost of a laptop is sales distribution, marketing and profit. Has not rebutted Intel until today, this machine will not be a toy. It will run fast, with instant on. 500 MHz is not slow. He has a 2 GHz machine now but he says it is the slowest machine he has ever used. Software manufactors release software which is worse than the previous version. Because they listened to the customer, don’t listen to the customer it is the worst thing you can do! If you paid computer programmers by the number of lines they remove per day the world would be much better. Why don’t people steal post office trucks? There is no secondary market for post office trucks. Make the computers sufficiently distinct so that if you see someone with one they better be a child or a teacher or there will be social pressure. Electronic books is the Trojan horse. The average nation spends 20 dollars per year per child on textbooks. Amortize the laptop over five years and justify savings through use as a textbook. 7 countries plus Massachusetts and hopefully this group includes China. One million units is minimum order during the first year. Audience member informs Negroponte that the Wikipedia is down (blocked) for over six months in China, he says that is outrageous, but promises not to say too much until he gets to the airport this afternoon. Director, The Interaction and Entertainment Research Center Nanyang Technological University. He’s a Mac guy, but his 17 inch PowerBook is so big it has trouble staying on the podium. Quotes Marshall McLuhan on his second slide, a fine Canadian. Where is Baidu in all this? Google has the largest storage infrastructure in the world now. Mobile phone users to internet users in China 3.6:1 this is different than any other market in the world. How will brands communicate in this environment, so how do brands use blogs in a positive way to interact with consumers? LCD screens in Walmart stores is the next major US TV network? Search rules, but not just paid search, it will take off in ways we can’t imagine. Loyal readers will remember I previously blogged about Venture Capital in China. Panel mentions how management talent is a rare and scarce resource in China. VC and PE firms should spend more time helping companies in this regard in China. Hans Tong: Family that started Bessemer was a co-investor in Carnegie Steel and then Morgan Steel. Since the 70s they have managed about 2 billion US, notable investments in the last few years include Skype. New to the China market, thought about China since 2003 made two investments now including investing in Bokee. Multimedia sector is very interesting and keeps VCs busy. Bokee used to be known as Blogs China. Not sure what the revenue model is for Blogs. Can the blogosphere be compared to the early days of the internet with money chasing ideas with no business plans. Compared Bokee to Skype. 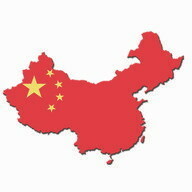 Blogs are more interesting in China because in the US there are less venues to express your opinions. Has traffic and growth patterns the question comes down to execution. Shin Dong is a first time CEO with venture funding. Develop more attractive and sticky features, revenue model it is similar to portals depending on online advertising. Friendster.com has lots of users in a short amount of time, got VC money due to users but that isn’t everything, usage is declining. Also mentioned MySpace.com started by Brad Greenspan, he didn’t have an exit model, he just wanted to build something that people would use all the time. Relevancy = value which can trump number of users, lots of users doesn’t guarantee success. There is never too much money. Richard was a the Zero2IPO conference in Shanghai last week and saw Hans. He would argue that it is somewhere in-between. 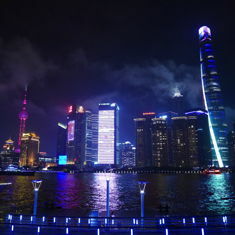 People have focused on Beijing and Shanghai and haven’t ventured farther afield. It is all in how you define the market size. 2-3000 people in attendance 2-3 billion was raised last year for China focused funds. Due to the closed market a lot of people didn’t have an opportunity to start up a company before. China needs time to go through a cycle. So much capital coming in, we can go to the 2nd and 3rd Tier cities. Worried about being 5 years too early or 5 years too late. Moderator steps in and ends the ramble, mentions how funds have short term goals say five years. That is the nature of VCs. To attract VCs or even Angels you need commercial relevance. I think the moderator is confusing research with art, artists are always pleading for more funding for the arts. You need a business model. Previously in the Silicon valley they invested in companies that took offline businesses online. Now in China they are taking proven successful models and giving a twist to it. You need the local flavour, look at AOL and how it failed in China. As I was getting ready to leave for the day and run off to the Tsinghua MBA foreign exchange student farewell party, I stopped and got my picture taken with some girls wearing skirts. It turns out they were not just pretty faces hired to hang around but were actually volunteers from a local university and were all International Relations students. I probably earned some brownie points saying I knew how hard of a job it was volunteering at a conference, having done it myself. I further endeared myself to them by giving them all Tsinghua business cards. I swear I gave out half of the business cards I got on Friday already. I wasn’t a major networker, there wasn’t that good of an opportunity except at lunch and the end of the day. I figure most of the people there were official guests or media, as a result I got a lot of business cards from VCs and members of the Chinese media. One particular media member who ate lunch at the same table as me and who was either laughing at my poor Chinese or my discriptions of the Japanese may feature more prominantly in future tales. I guess I should also mention that I still have those free dinners for two and that I am looking for a job if anyone bothers to read down this far. You can of course leave questions and comments below too. This entry was originaly posted on December 19th, 2005 , it was last edited on January 26th, 2019 and is filed under: Information Technology and tagged: China, Conference, Nicholas Negroponte, Venture Capital. Wow, pretty cool post. I love hearing about technology forecasts. Funny thing you mentioned Wikipedia. Apparently in CNN, experts compared wikipedia to britanica and found that they were of the same accuracey which is amazying since wikipedia is totally frickin free. I sent an e-mail to you on December 3rd inquiring if you are finally done with your mba, and I still haven’t heard reply. I can only assume by now you’v written your last exam and you’ve washed your hands of this “sordid sauder saga”.